Indonesia is looking to strengthen its diplomatic ties with South Pacific countries by appointing a special envoy to the region. Coordinating Political, Legal and Security Affairs Minister Luhut Pandjaitan on Wednesday said he would propose assigning an official from the Foreign Ministry to engage with the easterly neighbors and underscore Indonesia’s commitment to resolving complicated issues surrounding Papua. 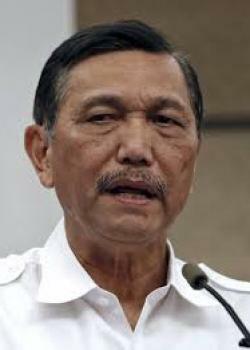 Luhut said Jakarta’s eastward gaze was part of its wider efforts to counter the separatist narrative that had thus far prevented the government from developing Indonesia’s easternmost province. “I will propose this to the President [Joko “Jokowi” Widodo] and the Foreign Minister [Retno LP Marsudi]. It is important that there is an envoy who can deliver our message to the Pacific island countries,” he told The Jakarta Post aboard an Indonesian Air Force aircraft en route to New Caledonia. Luhut is in the region to consolidate support from member states of the Melanesian Spearhead Group (MSG), which have struggled to balance their growing ties with Jakarta with ongoing support for regional grassroot movements dedicated to protecting the rights of indigenous people of Papua and West Papua during decades of separatism. The MSG is a sub-regional grouping in the Pacific, comprising Papua New Guinea, the Solomon Islands, Vanuatu, Fiji and New Caledonia. Indonesia is an associate member. Luhut said it was crucial that the government start to “aggressively” inform the international community on its many undertakings in Papua, with support from MSG members a crucial factor of success. To this end, Luhut invited a number of Papuan regional heads and representatives of other provinces with a large Melanesian presence — Maluku, North Maluku, East Nusa Tenggara and West Papua. “We have to thoroughly explain what’s being done — and we’re doing a lot,” he said. According to him, the government is supporting Papua on a number of fronts, starting with increased regional funds, a renewed focus on health and education initiatives, the promise to resolve past human rights abuses and plans for more infrastructure and logistics projects. Kicking off a three-day tour to countries in the region, Luhut will be in Fiji for bilateral meetings with Prime Minister Voreqe Bainimarama, Foreign Minister Ratu Inoke Kubuabola, and Agriculture, Maritime Development and Disaster Mitigation Minister Inia Seruiratu. Luhut’s advisor Djauhari Oratmangun said the visit aimed to strengthen Indonesian ties with Fiji, consolidating the Pacific Island country’s continued support of Indonesia in the MSG forum. Fiji, along with Papua New Guinea, has supported Indonesia’s role in the sub-regional forum as the country with the largest population of Melanesians. Djauhari said the trip also had humanitarian goals, with Indonesia providing Fiji with US$5 million in disaster relief as well as a container of supplies from the Indonesian Army’s engineering directorate. Meanwhile, General Elections Commission (KPU) chairman Husni Kamil Manik is set to sign a memorandum of understanding with the Fijian government on the transfer of knowledge on election organising. After Fiji, Luhut and his entourage plan to visit Papua New Guinea before returning to Jakarta.